Rabindranath Tagore’s later travelogues seem to be a cross between a diary and a philosophical notebook. While visiting various places in a foreign land, he keenly observes what is shown to him, records his itinerary and at the same time writes down his impressions and reflections based on his newly earned experience. It is no wonder that most of his travelogues, specially his travelogue of the then Union of Soviet Socialist Republics (ussr) are composed in the form of letters actually sent to several recipients. It is also no wonder that the English translation of one of these epistles was proscribed by the British rulers although the Bengali collection called Russiar Chithi was spared. 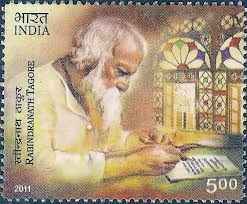 Rabindranath’s travelogues of Persia (Iran) and Iraq was published as Parasyayatra and Parasyabhraman serially in two journals, Prabasi and Bichitra in 1339-40 Bengali Sal (June-July, 1932 and July-August,1932 – April-May,1933). Both were incorporated in Japane-Parasye (Shraban, 1343 BS = July-August, 1936) as a joint travelogue of Japan and Persia. The visit to Iran and Iraq lasted from 11 April to 1 June 1932, that is, eighteen months after his visit to the ussr. His experience in the first socialist country in the world impressed him most favourably and the echo of his admiration can be heard in his travelogue of Iran as well. The rise of the people in Russian Turkestan had left a permanent mark in Rabindranath’s mind. It is evident from his repeated references to the Asiatic Russian people both in his Parasye and in his last testament, Sabhyatar Sankat (Crisis in Civilization). 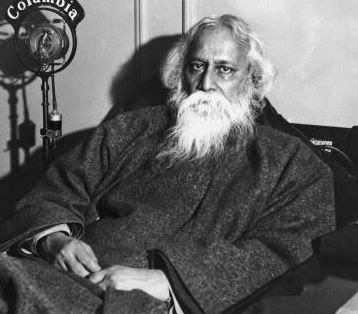 Rabindranath was indeed a world poet (as Brahmabandhab Upadhyay described him as early as 1900, long before the award of the Nobel Prize) but he was an Asian at heart.1 He was more interested in the uplift of the Asiatic peoples, suffering under the double yoke of ignorance and imperialism. His visit to Iran and Iraq prompted him to express his ideas and aspirations in a way he had never done before. His account of Persian travels deserves to be studied as much as his Letters from Russia. His Iran and Iraq travelogues have recently been translated into English, although with some regrettable omissions here and there. (New Delhi: Sage, 2013, pp. 66-74).